Coming Soon: Stay updated with our recent hunts, pictures and customer testimonials! 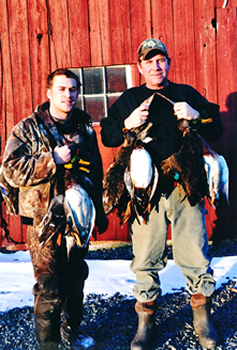 Mason Branch Hunting Preserve has been owned and operated by Donald Dean Jr. since it was founded in 1990, and it has been successfully run by himself and his son (Chris Dean) for the last ten years. Here at Mason Branch Hunting Preserve we believe hunting is more than simply a past time, it is a tradition that we try diligently to preserve by providing a true eastern shore experience on our 300 acre farm in a small township within Queen Anne called Ruthsburg. When you come to hunt with us here at Mason Branch Hunting Preserve we provide a hunting experience of a lifetime, whether it be release upland game, Canada geese, or one of the other various hunts we offer. We believe that we succeed in offering big time hunts with a small time feel; meaning that we cater to one hunt at a time so our customers will not feel rushed in any way. We also make any necessary accommodations for our clients to assure that their experience is a memorable one. 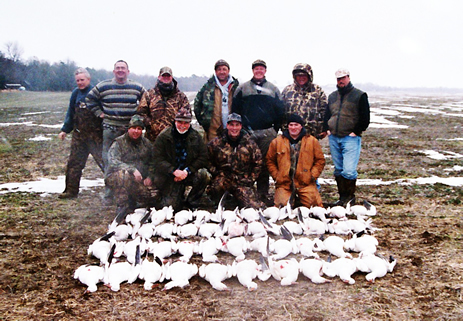 We never shy away from a big hunt, and we always welcome combination hunts meaning that if you want to do a little goose hunting in the morning and have a bird shoot in the afternoon we are always open to price flexibility. We take pride in what we do and we strive to provide our clients with a memorable experience every time.